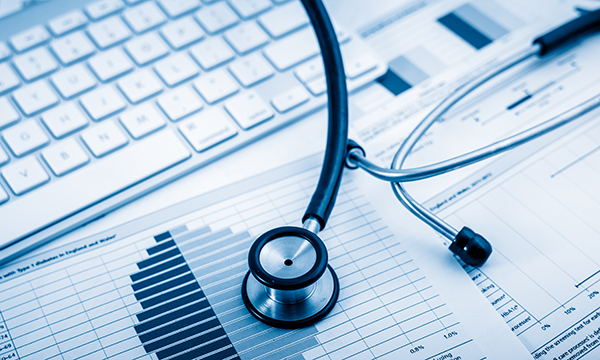 Essentially every facet of healthcare is in some way related to business, and healthcare is big business, with large revenues and equally large costs. In 2016, the United States' Centers for Medicare and Medicaid Services (CMS 2016a) cited spending of nearly $3.3 trillion (more than £2.3 trillion) on healthcare expenditures in the US alone. The US population estimates from 2015 were just over 300 million (World Bank Group 2016) and continues to grow. Given these figures, in 2016, this places spending in the US at well over an average of $10,000 (more than £7,000) per person per year (CMS 2016b). While US healthcare reform was aimed at improving access and developing new funding sources, it did little to decrease the actual cost of healthcare products and associated services (Munro 2014). Nearly everyone who experiences any aspect of healthcare is often shocked at the cost. Both planned and unexpected care encounters usually begin with a series of transactions involving different types of businesses. Examples include patients now using technology such as the internet and social media for research. They compare online sources: to find the best performers or clinical outcomes; to book services such as appointments and procedures online; to access medical records via electronic platforms; to compare cost and value; to purchase goods including pharmaceuticals and medical devices; and to pay digitally for medical-related fees. With increasing demand for healthcare as the US population ages, a number of entrepreneurial opportunities in nursing will undoubtedly surface. Not only will nurses be able to practise in settings that are typical now, but a number of new prospects will emerge. To take full advantage of these opportunities, nurses must be keenly aware of the business implications. Learning about business and how healthcare systems work will position them for the future and will also allow space for innovation, growth and development in today’s systems. Each of these has the potential to open many new avenues of practice. Nurses are uniquely qualified because they ‘feel’ the current challenges in healthcare. We are a group of creative problem solvers, committed to excellence. We have adapted in recent times to changing technology, labour shortages, quality and cost-reduction initiatives, medical advances, enhanced transparency and more. Many nurses are natural leaders and quite often leaders can pioneer trails into the future. The time is now. Nurses must step up and take an active role in the business of healthcare to help mould a better and more economically efficient system of care. Future generations are depending on it. Business is playing an increasingly important role each day in the profession of nursing. And for many of us, as we age, we are not only providers but also consumers of healthcare. We must all work to find the perfect balance between the business and science of nursing and the art of caring.